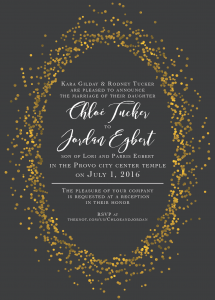 Foil pressed paper can add a fashionable, classy touch to your invitations. 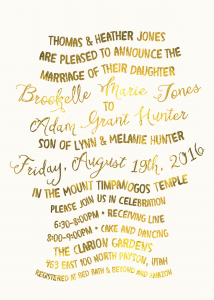 The Invitation Maker can get you the beautiful foil embellishments you want to make your announcements pop. 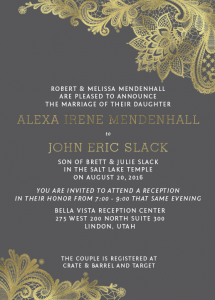 Foil stamped wedding invitations are a classic design choice that adds flair and elegance to even the simplest designs. 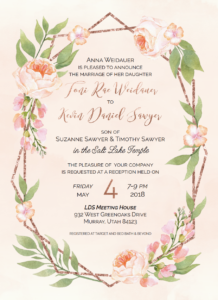 The Invitation Maker has several options for adding foil to your invites, including various sizes and side printing choices. 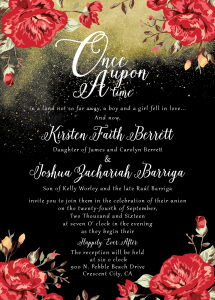 You can even kick up the shimmery glam with pearl metallic paper upgrades. 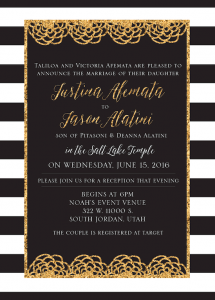 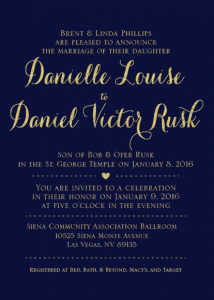 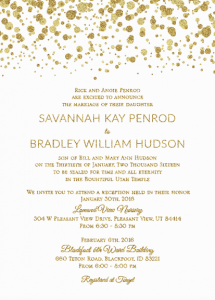 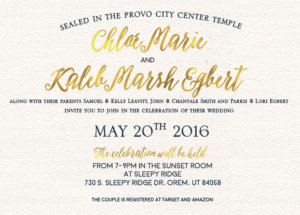 Foil printing for wedding invitations is a process that involves stamping metallic foil onto the paper’s surface with a foil stamping machine. 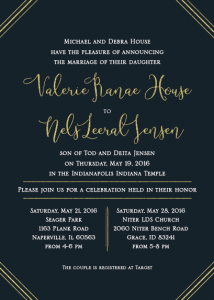 This gives you the satiny luster you look for in a foil invitation. 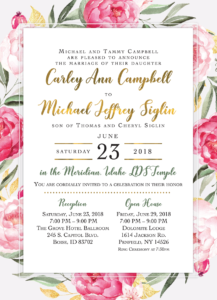 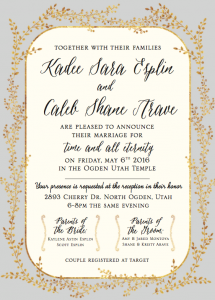 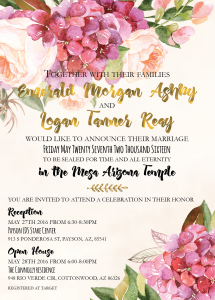 Due to the extra work and specialized equipment needed to produce these gorgeous invitations, foil pressing comes with an additional cost and may have additional lead time for printing until we can ship it to you. 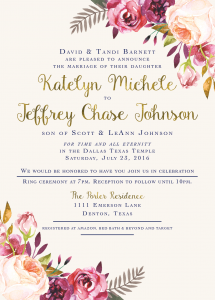 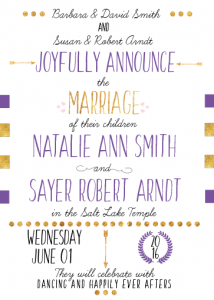 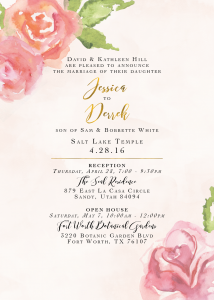 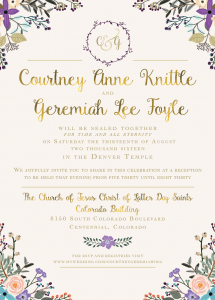 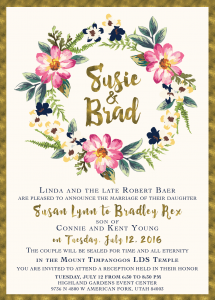 The wait is worth it, your guests will be charmed by your stunning invitations! 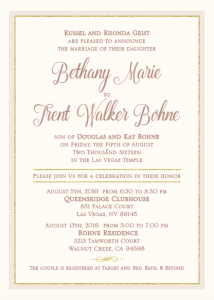 Start by looking through our examples of invitations for brides we’ve recently worked with. 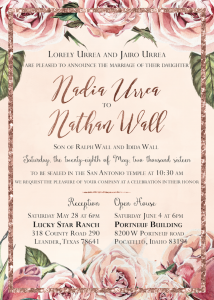 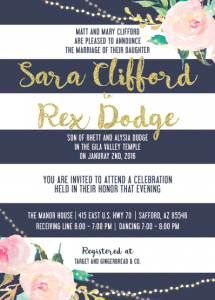 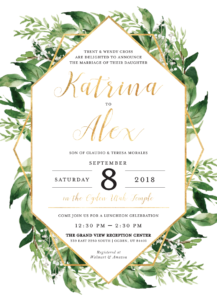 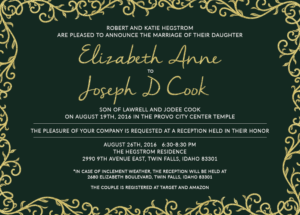 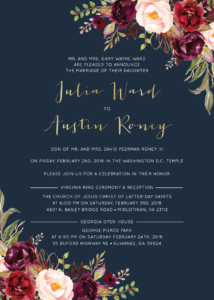 Select one or several that you like and work with a designated designer from our team to convert your ideas into your own customized foil stamped wedding invitations. 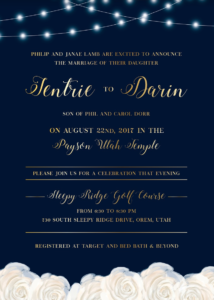 You can coordinate with us via phone, email or online chat to get your invitations ready as quickly and as painlessly as possible! 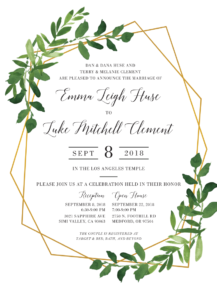 Once you and your designer have come up with the perfect invitation design, it’s time to choose your envelopes, save the dates, inserts, and other add-ons. 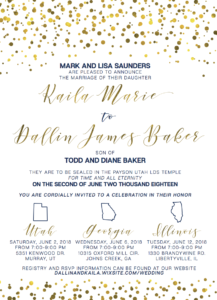 Next, we will print your order in a matter of days. 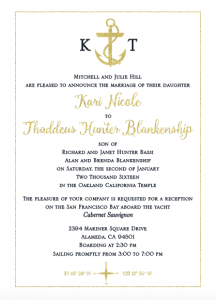 Once ready, your package will ship with the shipping method you have specified for your order. 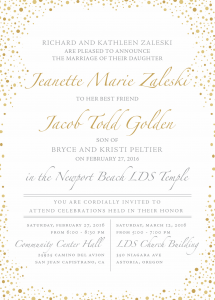 Your foil wedding invitations can be ready in no time. 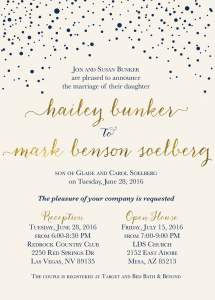 Reach out to us today to get started or browse our gallery to get inspiration for your invitations.